At Manchester International School, we believe that learning the importance of offering service to the community is an essential element of a holistic education. Community service is a mandatory element of our middle and senior school Program has part of the Manchester International School activities. In the academic program, students are expected to lead to an action component which can often involve service. In addition to these formal curriculum requirements for service, Manchester International School students are involved in a plethora of activities. The emphasis is on developing community awareness and concerns and acquiring the skills to make an effective contribution to society. At each Grade level, community service projects are integrated with the subjects and enables students to enhance their personal and interpersonal development through experiential learning. 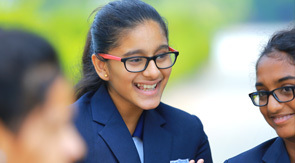 Concurrently, our school provides an important counterbalance to the pressures of the rest of the academic programme ( CBSE, IGCSE, AS & A Levels, IB PYP & DP ). Philanthropic initiatives, such as tree plantations, swach bharat initiatives, cleanliness awareness in slums, cleanliness in public places like parks, donating children’s books, volunteer to teach English are other ways to supports and extend possible help to orphanages in Coimbatore and many others, contribute to create awareness amongst our students about the needs of the society and ways in which they can assist others in the community, Manchester International School launched its first Interact Club under the guidance of Rotary Club of Legends, Coimbatore 3201 DC to promote a sense of responsibility and inculcate the feeling of compassion among fellow students by doing service effectively to the society. Interact is a club dedicated to community service for students aged between 12 to 18 and Manchester feels proud to be a part of it.